Ensign Sylvia Tilly is the heart and soul of Star Trek: Discovery. Even in the darkest days of the Federation, or in the most twisted versions of the Star Trek Universe, she’s a bright spot of light that’s always ready to warm the room with a smile. We here at Star Trek Online feel like that’s the very essence of Star Trek – being a light in the darkness. That’s why we’re #Silly4Tilly, and that’s why we want to reward the Tilly in your life. 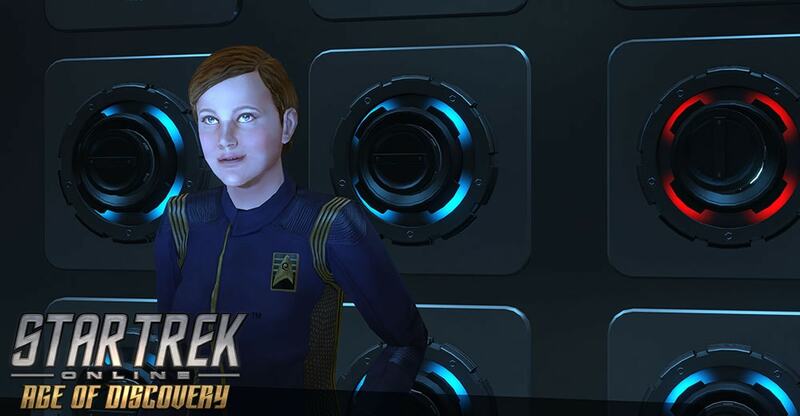 For the next week, until October 9th with the launch of Age of Discovery, we want you to nominate a Tilly in your life. What makes them your shining light that brings out hope in the world? This could be a family member, a friend, a fleetmate, or anyone else who makes your life brighter by being a bouncing ball of joy. Post a short video nominating your friend and describing why they should win to social media with the hashtags #Silly4Tilly and #AgeofDiscovery, and send us a copy at community@crypticstudios.com. We’ll pick our ten favorites, who will each win a pair of #Silly4Tilly t-shirts made by our friends at silly4tilly.com. Not only that, but two grand prize winners will walk away with a pair of T6 Crossfield Class Science Vessels on PC, one for each of you! Let’s all take a moment to celebrate the people in our life that never say never, and always focus on the parts of their lives that are so…cool.